Back in the day, this home was built to suit a family with a regular-sized car. But now that cars are getting bigger, sometimes they just don’t fit in a regular-sized garage. 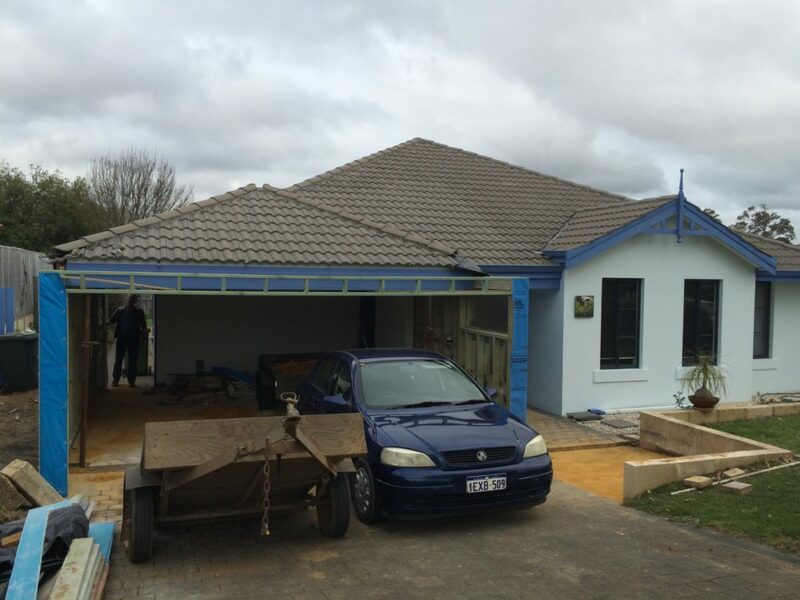 This is what happened to this Margaret River family… Their garage was simply not long enough to accommodate their car. Its tail-end would hang out into the driveway, and they couldn’t close the garage door. a circular driveway installed in the front yard. All in all the job took three and a half weeks, and cost less than $37000. Photos of this renovation in progress will be uploaded as the job progresses. Our clients couldn’t have been happier with the work and professionalism of Leimac Building. Here is their testimonial in full. From a client perspective moving into a renovation project can be a foreign land – that is why communication is the key to feeling comfortable about how things are developing. Gavin was tremendous in taking our garage renovation project from concept through design to commencement. Gavin worked with us through several variations of the original concept, made changes when requested, brought in professional design expertise when needed and just as importantly made sure the final project cost fitted our budget. From the start of work on site Gavin has been easily contactable and always willing to discuss any suggested changes or other concerns. 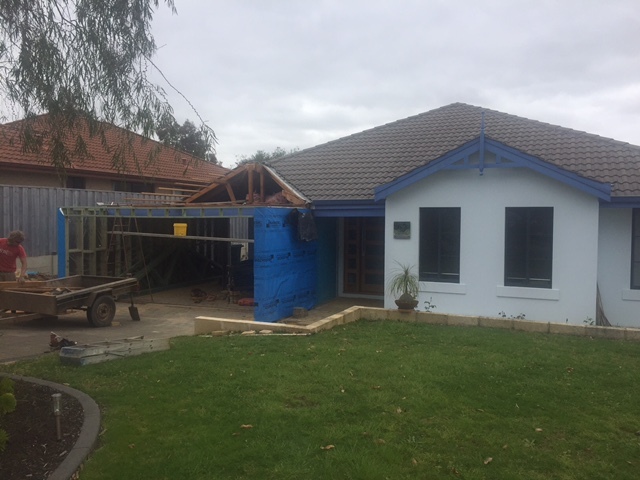 Gavin’s team on site have been professional in their approach and easy to have working at our home, any concerns with timing have been explained and where possible expedited. 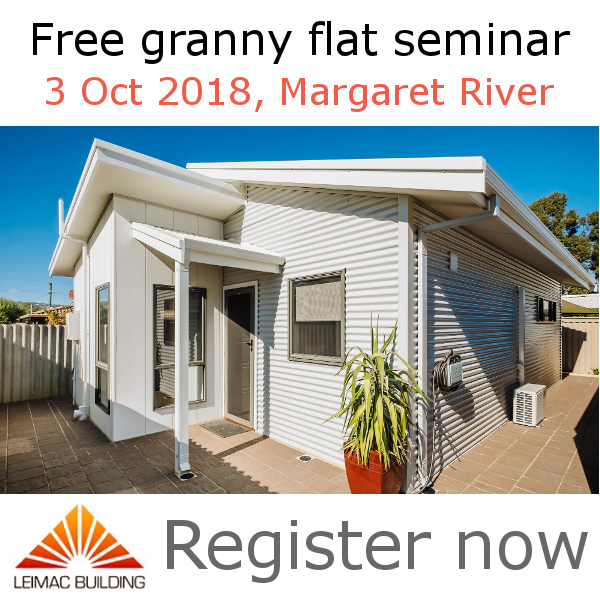 We would have no hesitation in recommending Gavin and Leimac Building for any large or small renovation projects in the South West region. It was a pleasure working with you Dave, and all the best with your “opening party”.